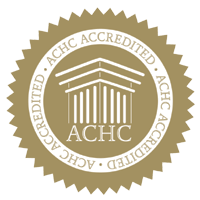 Our Pharmacists are graduates of accredited pharmacy programs, licensed in the State of Michigan, and members of the American Society of Hospital Pharmacists, American Society of Consultant Pharmacists, Michigan Pharmaceutical Association, American Society of Parenteral and Enteral Nutrition, and Central Michigan Pharmacists Association. Our Nurses are registered nurses licensed with the State of Michigan and are members of various professional organizations, including Intravenous Nurses Society. Educational backgrounds include Bachelors Degrees in Nursing, with extensive infusion experience in both inpatient and outpatient settings. Our goal is to provide the highest quality infusion therapy services in order to improve quality of life, enhance recovery potential, and to promote an optimal degree of independence. 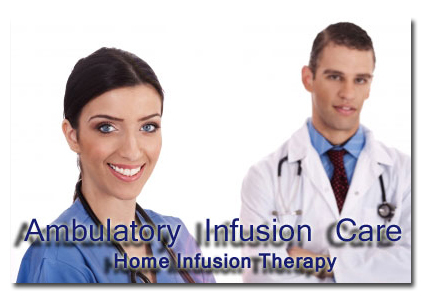 Ambulatory Infusion Care is a home infusion company that provides a full range of therapies and services, in coordination with physicians, home nursing agencies, hospice organizations, hospitals, and long term care facilities. Copyright © 2011 Ambulatory Infusion Care, All rights reserved.